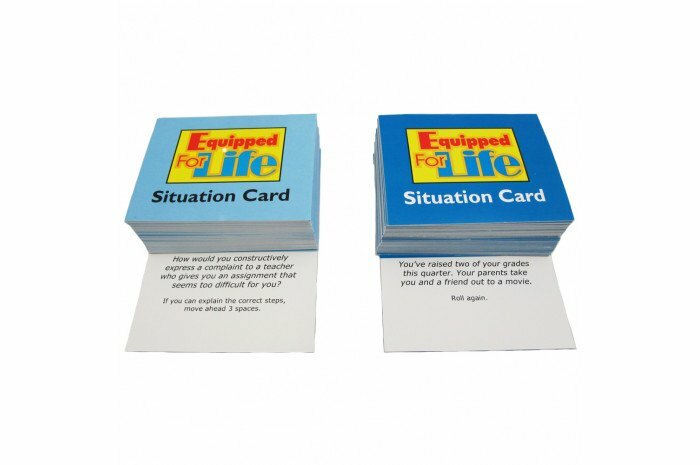 Equipped for Life is designed to help youth and young adults think and act responsibly. 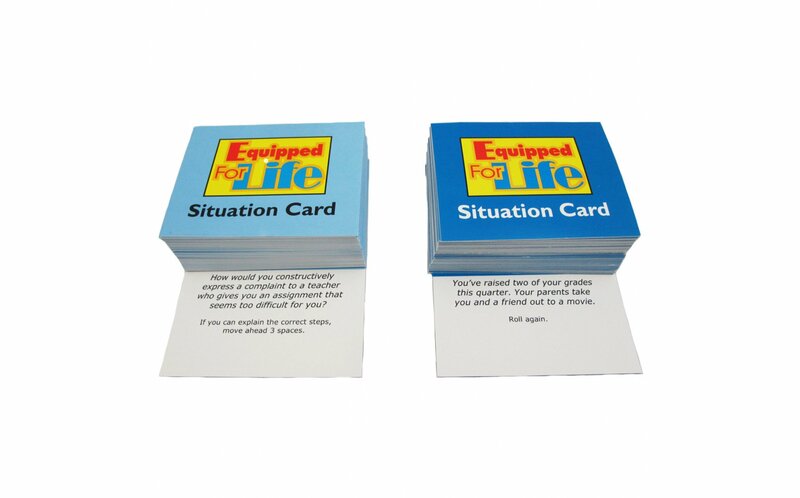 It includes more than 100 situation cards for each of two levels, grades 5-8 and grade 9-young adult. 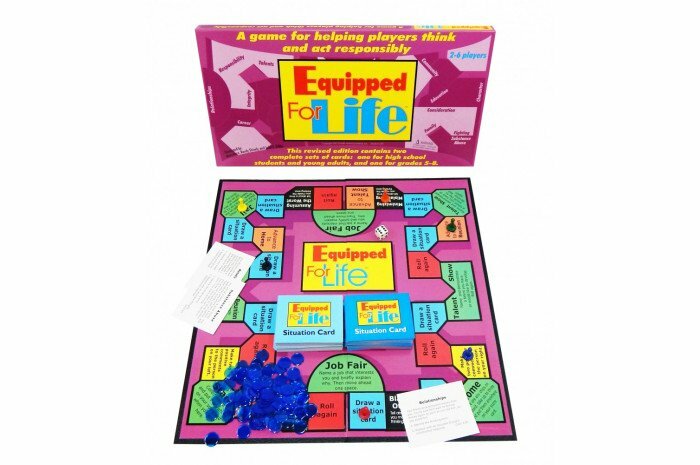 Topics include: daily living, education, relationships, school, community substance abuse, employment, and after school activities. 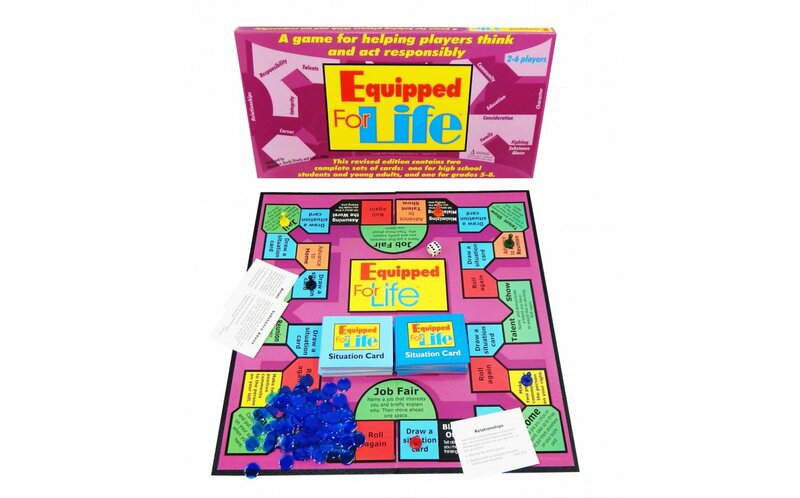 Players are asked to identify thinking errors and replace them with accurate thoughts and create positive action plans for themselves, other individuals, and the community as a whole.